And We Should Die Of That Roar is a one-man musical soirée, instigated and run since 2014 by guitarist, vocalist and songwriter Hardy Hum. 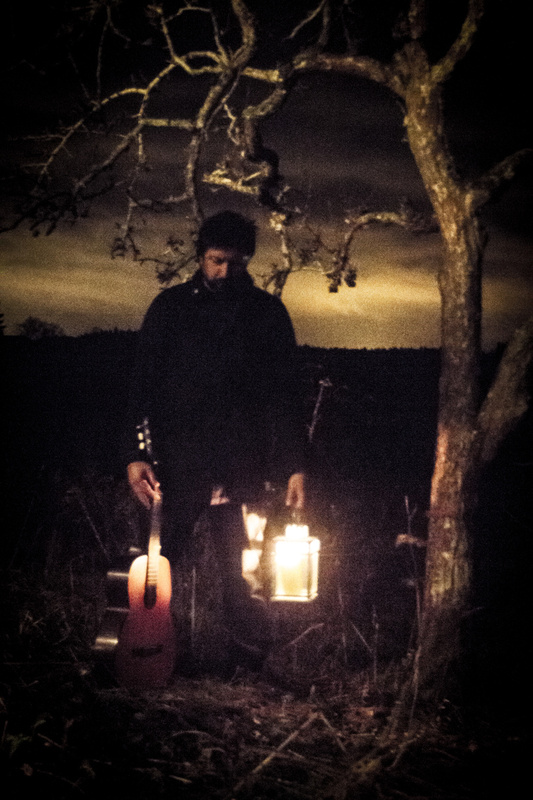 Hardy’s music has been described as “incredibly innovative” (Pure M Magazine), “truly unique and powerful” (Res Magazine) with an immediately distinguishable sound that is “drenched in whiskey, aged with smoke and fired with emotion and power” (ibid). 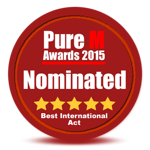 And We Should Die Of That Roar is also nominated for Best International Act 2015 at Pure M Awards. This, however, is but a dark echo of a more distant past. Born into a family of musicians in former Yugoslavia in late 70’s, Hardy’s love for music developed early and has ever since remained a natural part of his life. After fleeing the horrors of war in Balkans at the age of 15, decontextualized with contested sense of identity and weighing sense of loss, rootlessness, and alienation as he was trying to adapt to his new life as a refugee and his new home (Sweden), he sought comfort in music. Hardy’s story is as real as the searing heartache he’d learned to live with. Consequently, this is reflected in his music – a music that provides no escape. It is not crowned with a romantic happy-ending. Rather, armed with dark bile and deeply reflexive gaze it explores the badlands of the dark while embracing those more obscure dimensions of being human. This has become a hallmark of Hardy’s music, something he has called “a homemade exposure therapy club for the hurten ones”. After more than 25 years of writing and playing music and working in various musical constellations Hardy released two albums (2004 and 2010) and toured the Europe with his punkrock band BlockBastards. Eventually, a self-titled debut full-length 17-track studio album (released November 19, 2014) under the And We Should Die Of That Roar flag was born. This album is Hardy´s first all-guitars-stomps-barks-and-howls solo exertion combining post 50’s blues with proto-punk influences and Balkanesque oompah hooks and zingy melodies into a roaring and thumping portraits of visceral dark sentiments and sense woven spells. And We Should Die Of That Roar’s self-titled debut album received unanimous critical praise with Bristol based Res Magazine calling it "a brilliant full-length album with tons of character, passion and atmosphere", while award winning magazine Cat On The Wall stated “This album is, simply unique and the character it carries is present in one track more than in some band’s entire careers”. Local culture magazine Kultursidan described the album as ”… the most exciting thing to happen to Norrköping’s music scene in ages”. In March 2015, the music video for "Nobody Cares", the album’s 1st single, made the prestigious "Our Picks" section on the renown music video haven MUZU TV and had been awarded with rave reviews. 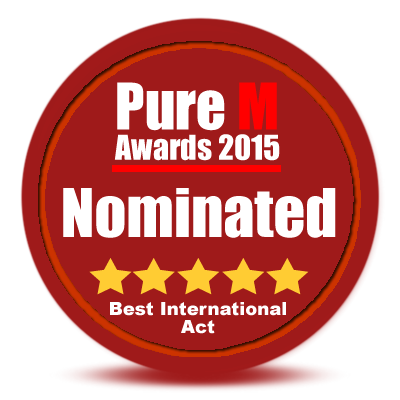 In june 2015 And We Should Die Of That Roar was nominated for Best International Act 2015 at Pure M Awards. In October 2015, And We Should Die Of That Roar gets editor's pick for Best New Music at HYMN Music Magazine. In spring 2015 a number of live performances in music clubs and festivals followed, drawing crowds of hundreds, amongst which also as a support for a major Swedish alternative country act Christian Kjellvander – a performance which was immediately celebrated as ”a formidable primordial force” that offers ”extending horizons” elevating And We Should Die Of That Roar as ”… definitely the most interesting band in the entire county right now” whereas the live premiere of a song “Hearts Turn to Stone” (1st single from forthcoming 4-track EP Sense Woven Spells) during this show earned it a status as “one of the best songs in 2015” (Corren – Östgöta Correspondenten, April 13th, 2015). Upon previewing the new EP, Res Magazine said: "The tone of each track is drenched in whiskey, aged with smoke and fired with emotion and power" while Irish Pure M Magazine concurred emphasizing that "The music showcased on Sense Woven Spells works it way deep into your mind and maintains a presence there long after you’re finished listening." "works its way deep into your mind and maintains a presence there long after you’re finished listening."